This retro post is one of my fav cakes. Once again my trusty AWW bible, Bake, has provided me with a delicious, easy, can’t-stuff-it-up cake. 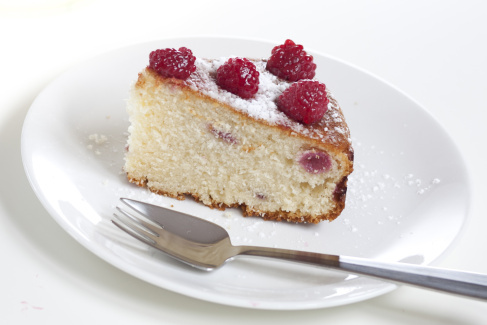 I present the buttery and moreish raspberry butter cake that can be made with fresh or frozen berries [I always use frozen but never defrost them before use]. Preheat oven to 180C and grease and line a round 20cm cake tin. Butter butter and sugar in bowl of electric mixer until light and fluffy and then beat in eggs one at a time. Stir in milk and flour in two batches. Fold in 1/4 cup raspeberries. It is super simple but tastes incredible. It is mainly coz I am lazy 🙂 But yes, it works a treat. 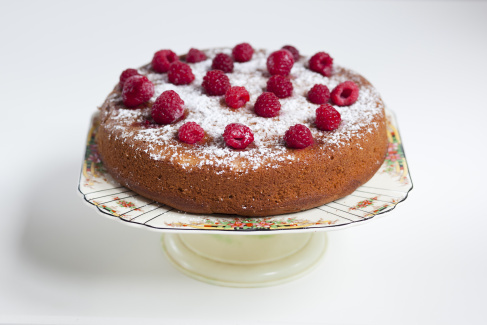 Me too – it is such a simple, elegant cake. Thanks – it is super quick and easy to bake. I usually use undefrosted frozen raspberries for raspberry cakes too. This looks lovely with the red against the white! Thank you 🙂 I really should make this cake more often, it always gets a good reaction. Butter cakes are so good! Easy and yummy. Same! The colour of the berries in this batter is so pretty. Cheers – it is a personal fav. i love simple timeless cakes! Thanks for the recipe. Thanks Chika 🙂 This is a keeper.